Why Buy The Canon 7D Mark II? The Canon 7D Mark II body retails for $1,799, but it currently has an instant savings of $500 bringing the price down to just $1,299. If you shoot video, you'll appreciate having a headphone jack. It surprises me how many DSLR cameras do not have a headshot jack. With the Canon 7D Mark II, you can listen to the audio as you record. The Canon 7D Mark II has a CF (Compact Flash) and an SD card slot which allows for shooting to both cards in still image mode (not video) thus creating a backup along the way. Another way to use dual cards is to shoot to RAW on one card and JPG on the other. And a final popular way to use dual cards is simply allowing for more shooting when one card fills up. Dual cards is something that is hard to give up once you own a camera that has dual card slots. Even if you don't shoot sports, 10 frames per second can come in handy for capturing those moments that only last a few seconds. The sync speed is on the higher end of DSLR cameras. When shooting with strobes or a speedlite outside, the slightly faster sync speed could come in handy. Even shooting inside, 1/250th can come in nice for handholding the camera. If you shoot video, it's nice to have autofocus available in video mode. It allows a DSLR to operate more like a traditional video camera rather than trying to manually focus every situation. Several years ago, many DSLR digital cameras had 5 autofocus points. The amazingly popular Canon 5D Mark II that came out many years ago now has just 9 autofocus points. If you are a Canon shooter, you will enjoy having this many autofocus points. 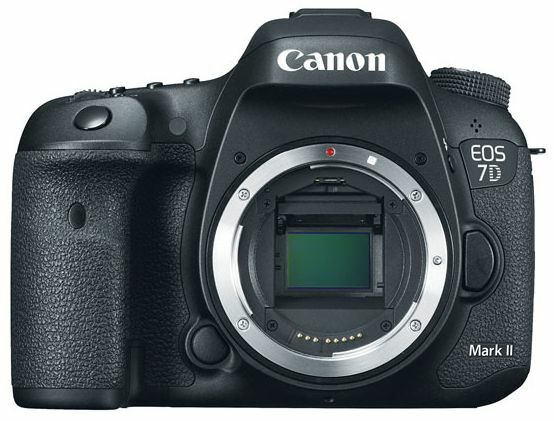 In closing, there are far more reasons to buy the Canon 7D Mark II than the 7 above. But the 7 above are definitely a good start. Yes, it is an APS-C sensor, but stop getting hung up on APS-C vs. Full Frame. There are advantages and disadvantages to both. If you have $3,399 laying around, you may want to get the Canon 5DS which is a 50MP, Full Frame DSLR. Otherwise, you should seriously consider the Canon 7D Mark II provided it's an upgrade from what you are currently shooting or would be a perfect compliment to your current system.